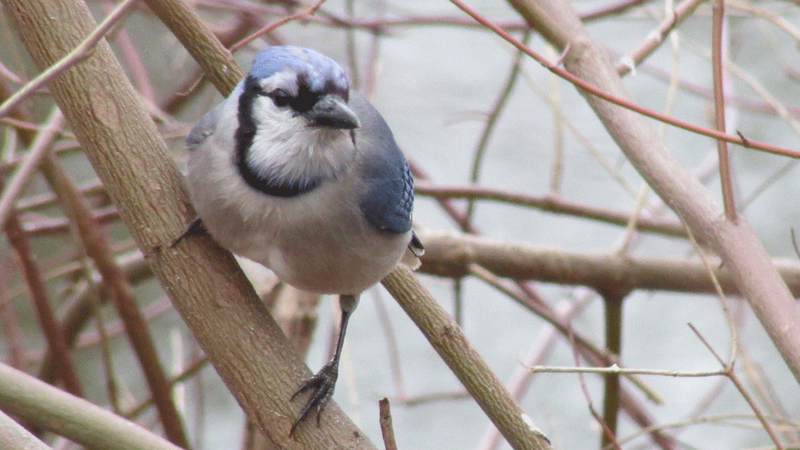 Thank goodness for the blue jays! They are beautiful, loud and cantankerous and they tell me (sometimes) where the hawks are. 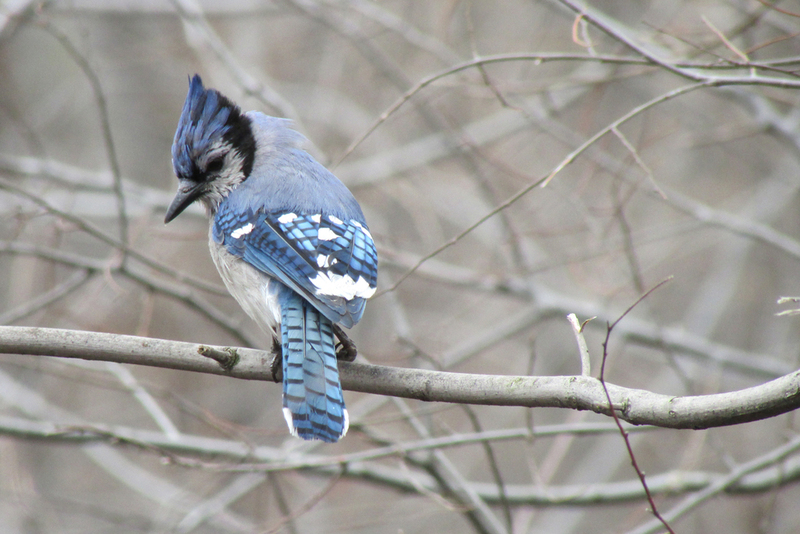 There is one blue jay, probably born in 2015, that comes to your hand for peanuts. If you don't have peanuts, you get squawked at. And the jay prefers peanuts in the shell to peanuts out of the shell. I didn't take this shot — it was taken by the remarkable Melody Andres in November 2015. That is, however, my hand. You can see Melody's work on Flickr by following Redtail10025 (my Flickr account is Pmsaga, of course!). These four photos are from 2013.